Looking for somewhere to get all the family together for Christmas or New Year? 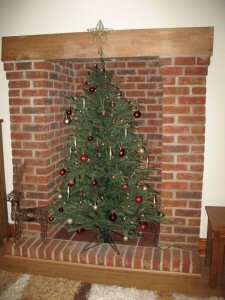 Barcud Lodge is the ideal place for a relaxing break over the festive season. The house will be decorated for Christmas and is equipped with that essential large roasting tin and serving platter for your turkey. Book early for Christmas 2015 to avoid disappointment!